The very first thing I must do is give thanks to Daniel, our DCT Forums Moderator, for pointing this software out to me. Thanks, buddy! I have used many software updaters during my long years messing around with computers. This one, though, shines through the dark realms of mediocre software in this genre. It is fast, pretty to look at, easy to install, and the settings are straight-forward. No tricks, no muss, no fuss. Exactly what I have come to expect from Kaspersky products. Head over to this Kaspersky page. 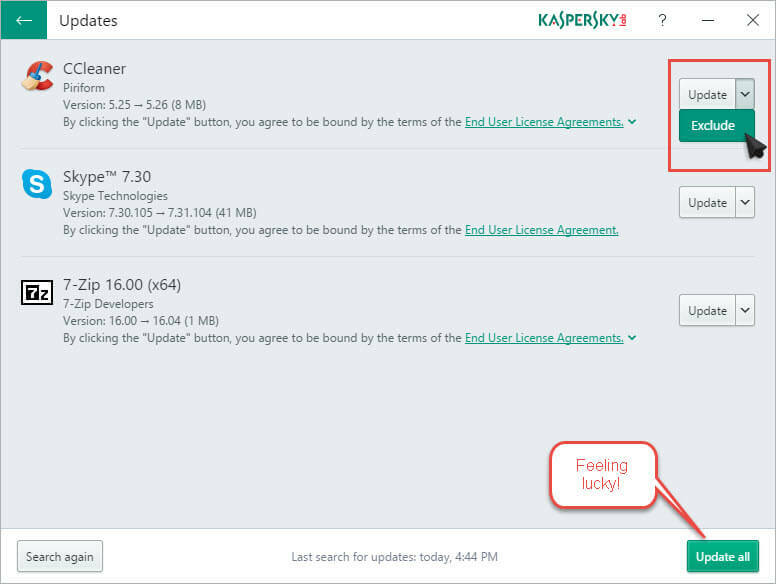 At the top of the list is the Kaspersky Software Updater with a green Download Button next to it. This will download a 2MB “stub”. When you run the “stub” it will start by downloading the program proper, ringing in at about 56MB. Once you run the program, in the bottom left corner, you will notice the usual Gear Icon. If you click this, and I recommend you do, it will bring you to the Settings window. This is a personal choice, but I would rather run this manually than have the program running in the background all the time. See the following Tip… if there was anything sneaky about this installation, this was it. Tip: I checked the Start Up tab in the Task Manager. Kaspersky had added a service to start at Windows boot-time. Skype was also enabled; I had disabled that much earlier– like forever. In any case, I disabled both of them. Just something to watch out for if you don’t want these programs running in the background when you boot Windows. The other thing I changed was that check box allowing messages and “special offers”. I don’t like messages and dislike “special offers” even more. The choice is yours, however. I left the option to run a Full search enabled. Why run a mediocre search if a better one is available? If you use a Proxy, I will leave it to you to wrangle that horse. Don’t forget to click that Save button when you’re done. The scan took less than a minute on my computer. I’m sure the length of time will vary considerably depending on how much software it has to check against its database and, of course, the speed of your computer system. By clicking the little down arrow next to the Update button, you can choose to exclude the selected software from further searches. I was feeling lucky, so I chose to update everything in one go. The only thing that broke was the Skype link I had pinned to the Taskbar. No big deal really; I just replaced it from the Start Menu. All works fine. Keeping Windows and drivers updated is extremely important from both a performance perspective and also from a security point of view. It is easy to overlook your programs and utilities, but it is equally important to have recent versions of them as well. 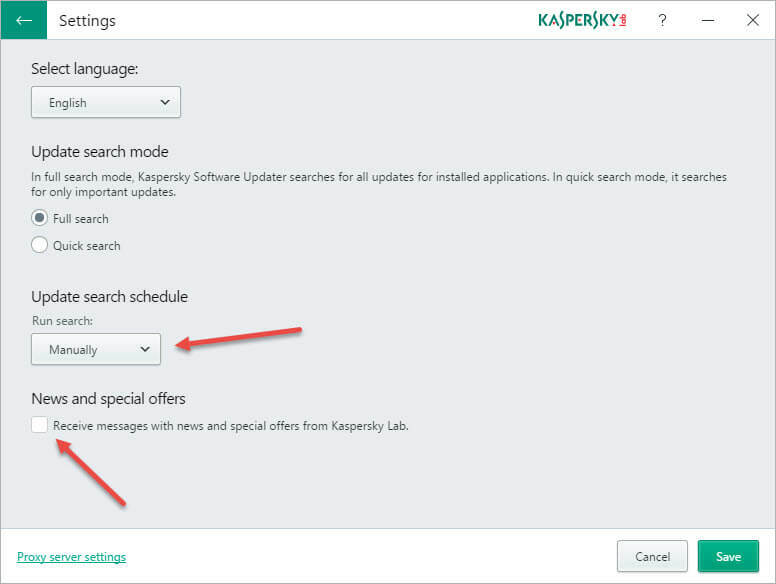 Kaspersky Software Updater is a great tool that should help you to attain that goal. I am very happy with my current experience with this program and confidently give it a thumbs up. Thanks Richard for the vote of confidence. I find this program will not install any other software that may come bundled with the installer. It is quite easy to use and I have installed it on two of my PC,s. I tried it and soon removed it. I found that when it applied updates, not sure which one, it did not give a chance to unselect things. Result was a Google Toolbar and other Google items I did not require. I will now return to seeking and installing updates myself. These types of utilities can cause problems if not used wisely. I generally choose which updates to apply individually rather than hitting the “update all” option. I made a risky decision for this article “just because”. I certainly don’t recommend doing this as a matter of course. Worth having unchecky running in background and trying again with software updater. I have yet to try the software updater but certainly unchecky is great at preventing PUPs when manually installing software. I for one have not had any other software installed using the Kaspersky Updater. Just got through updating both Thunderbird and Mozilla in W7. I guess it works for some and some it doesn’t. Now in PCLinuxOS, I still boot Win 10 to keep it up. Not sure for how long but I use PatchMyPC as I always have in Windows. It offers full control and squeaky clean updates. Ninite is another which I would use more for clean software downloads. For video and audio not on Ninite the Videohelp site gives total information on whether the software is free or trial and warns of unwanted malware. I’d prefer if it just downloaded the updates and let me actually instal them – that way you can make sure nothing extra is installed. A beta option would also be handy. However the actual program seems very easy to use with a simple user interface which is always good. There’s two updaters I tend to use – FileHippo and Sumo – FileHippo’s updater has sadly went downhill – it’s been stuck in it’s current beta version for a long time and seems like they have forgotten about it, with a lot of updates missed. Sumo uses information from other people – so if a user is using 1.0 and another is using the newly released 2.0 it will let you know. However it can be risky as some software can be device dependant and so it might tell you there’s an update for let’s say an intel driver, that actually is for newer intel devices. The other downside is that while it tells you about updates it doesn’t actually give you the update link and you have to then find the update yourself. Pro users can be led to straight to the updates developers site but it still doesn’t lead you right to the download. Users should also only download the light version of Sumo as the other versions contain extras. I agree about just downloading the files. I, too, like the added control. You are right about Filehippo and that is a sad loss. I forgot to add Glary Utilities has an updater to but it doesn’t pick up as many as some. Do you know any good updaters for drivers? I used to use Device Doctor which was quite reliable but that seemed to die. Slim Drivers isn’t too bad. I find driver update programs seem to be very unreliable. As with all updaters, these powerful utilities can really muck up your computer if you don’t pay close attention. I only use the tool to check for updates, I will usually install the updates. Anyone else use FileHippo? They seem to get some updates, especially for Thunderbird and Firefox, before the program tells you to update. No, I don’t have beta updates turned on. David. I used FileHippo in the past, but I’d not recommend using it any more. To many bad comments and difficult to remember why, Mindblower! It explains why we have lowered Filehippo on our “wonderful” scale. If that is true, then they have listened and are now traveling in the right direction, once again. I used this link to Kaspersky and once the website is opened one will have to scroll down to some very faint links and one is for the free tools. Look close the links are very easy to miss. 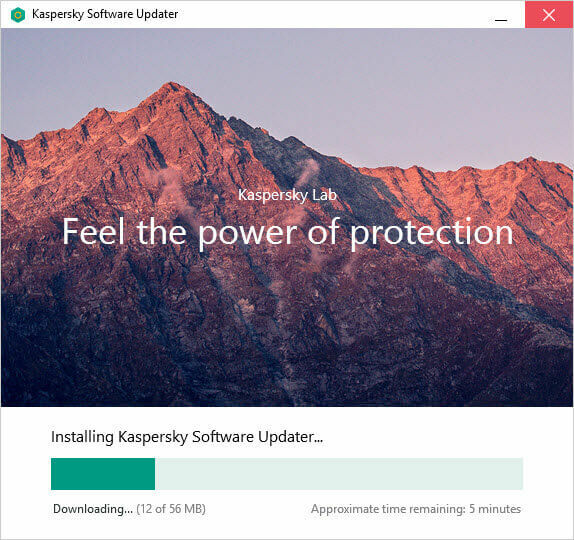 I have used Kaspersky Software Updater for quite awhile on my personal systems and all of my client’s systems (I do remote computer support) and have never had an issue with programs being updated correctly. However, I do have 2 systems after clicking to load, that will only display a very small window, about 1/4″ by 2″ with the Kaspersky logo info in it, but will never open up to use the program. Uninstall and reinstall does nothing, running the .exe in compatibility mode still does not work. Have emailed support thru their link in a functioning updater, no response yet. KSU runs a service in the background. Make sure this service will run and is not disabled in any way by either Windows or AV software. Other than that, you will probably have to wait for their tech support to help you. Or perhaps check out their forums for the answer. Don’t forget to search the internet, as well. I can almost guarantee you that since you’re having this problem, it has happened to someone else too, and the answer is out there somewhere.